Having passed by this government building growing up, I have often overlooked the beauty of its dignified dome, Ionic columns and golden statues of draped figures that encompass one of the best preserved colonial buildings in the country from the American occupation. 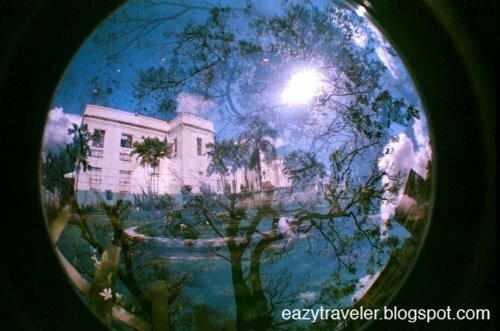 Designed by Juan Arellano, the Filipino architect best known for Manila’s Metropolitan Theater and Post Office Building, the gleaming white neo-classical seat of the provincial government of Cebu was constructed from 1937 and inaugurated a year later by Commonwealth President Manuel L. Quezon. 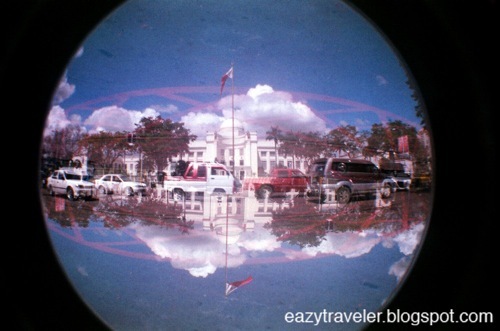 It sits at the T-junction of Escario Street and Osmeña Boulevard, which leads down to Fuente Osmeña and further to the downtown area of the city. Standing proud above the front gardens are two Cebuano icons: Lapu-Lapu, the king of Mactan who resisted Spanish conquest led by Ferdinand Magellan in 1521, and Sergio Osmeña, the fourth President of the Commonwealth from 1944 to 1946. Uptown Cebu is an hour’s drive from the Mactan International Airport, and very accessible by jeepney or taxi from all points in the Metro. Jeepneys (minimum fare: PHP 8.00) plying between downtown (like Magallanes and Colon) and uptown (like Labangon and Guadalupe) pass through Fuente Osmeña and the Capitol.